Mordechai Vanunu, who served 18 years in prison after he revealed Israel’s secret nuclear programme, has been placed under house arrest pending criminal charges for allegedly breaching the terms of his 2004 release, which includes a ban on contacts with foreigners. 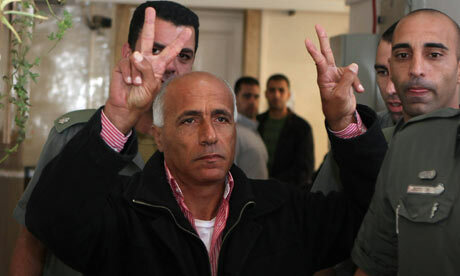 A police spokesman, Micky Rosenfeld, said Vanunu was accused of meeting with “a number of foreigners”. The spokesman, however, did not specify who the foreigners were or where they came from. Needless to say, Cheney is well-qualified to take an authoritative posture when it comes to terrorism. After all, he and his little buddy “kept us safe” from terrorist attacks for eight years, right? Other than the worst terrorist attack in American history, of course, along with the Anthrax Attacks, the Beltway Snipers, the thousands of terrorist attacks on our contractors and soldiers in Iraq and Afghanistan, and the attacks on our allies in London and Madrid, Cheney did a fine job keeping us safe (more about this in my book). Good job, Mr. Cheney! As I’ve watched the events of the last few days it is clear once again that President Obama is trying to pretend we are not at war. He seems to think if he has a low-key response to an attempt to blow up an airliner and kill hundreds of people, we won’t be at war. He seems to think if he gives terrorists the rights of Americans, lets them lawyer up and reads them their Miranda rights, we won’t be at war. First of all, way to condemn the attempted attack, Mr. Cheney — oh wait, you didn’t condemn anything other than the president. Sorry. You chose instead to attack the commander-in-chief while troops are in harm’s way. Weren’t you guys totally against that sort of thing, by the way? Oh right. Everything prior to January 20, 2009 doesn’t count. But that last part about giving “terrorists the rights of Americans” and letting them “lawyer up,” is fascinating coming from Mr. Cheney. 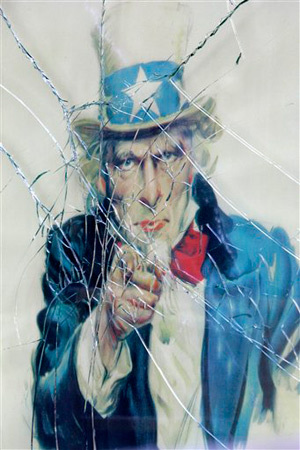 Syed Fahad Hashmi can tell you about the dark heart of America. He knows that our First Amendment rights have become a joke, that habeas corpus no longer exists and that we torture, not only in black sites such as those at Bagram Air Base in Afghanistan or at Guantánamo Bay, but also at the federal Metropolitan Correctional Center (MCC) in Lower Manhattan. Hashmi is a U.S. citizen of Muslim descent imprisoned on two counts of providing and conspiring to provide material support and two counts of making and conspiring to make a contribution of goods or services to al-Qaida. As his case prepares for trial, his plight illustrates that the gravest threat we face is not from Islamic extremists, but the codification of draconian procedures that deny Americans basic civil liberties and due process. Hashmi would be a better person to tell you this, but he is not allowed to speak. This corruption of our legal system, if history is any guide, will not be reserved by the state for suspected terrorists, or even Muslim Americans. In the coming turmoil and economic collapse, it will be used to silence all who are branded as disruptive or subversive. Hashmi endures what many others, who are not Muslim, will endure later. Radical activists in the environmental, globalization, anti-nuclear, sustainable agriculture and anarchist movements—who are already being placed by the state in special detention facilities with Muslims charged with terrorism—have discovered that his fate is their fate. Courageous groups have organized protests, including vigils outside the Manhattan detention facility. They can be found at www.educatorsforcivilliberties.org or www.freefahad.com. On Martin Luther King Day, this Jan. 18 at 6 p.m. EST, protesters will hold a large vigil in front of the MCC on 150 Park Row in Lower Manhattan to call for a return of our constitutional rights. Join them if you can. Two al Qaeda Leaders Behind Northwest Flight 253 Terror Plot Were Released by U.S.
Two of the four leaders allegedly behind the al Qaeda plot to blow up a Northwest Airlines passenger jet over Detroit were released by the U.S. from the Guantanamo prison in November, 2007, according to American officials and Department of Defense documents. Al Qaeda claimed responsibility for the Northwest bombing in a Monday statement that vowed more attacks on Americans. American officials agreed to send the two terrorists from Guantanamo to Saudi Arabia where they entered into an “art therapy rehabilitation program” and were set free, according to U.S. and Saudi officials. Guantanamo prisoner #333, Muhamad Attik al-Harbi, and prisoner #372, Said Ali Shari, were sent to Saudi Arabia on Nov. 9, 2007, according to the Defense Department log of detainees who were released from American custody. Al-Harbi has since changed his name to Muhamad al-Awfi. “We will not rest until we find all who were involved and hold them accountable,” Obama said, interrupting his year-end vacation in Hawaii to assure Americans that his administration was doing all it could to ensure security after a Nigerian man managed to smuggle explosives onto a Detroit-bound flight. “The American people should be assured that we are doing everything in our power to keep you and your family safe and secure during this busy holiday season,” he said. 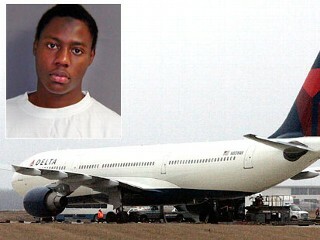 Nigerian Umar Farouk Abdulmutallab, 23, is charged with attempting to blow up a Northwest Airlines plane as it approached Detroit on a flight from Amsterdam with almost 300 people on board. Abdulmutallab has told U.S. investigators that al Qaeda operatives in Yemen supplied him with an explosive device for the attempted December 25 attack and trained him on how to detonate it, officials said. Obama said the U.S. reaction would be forceful.